Most people don’t realize just how strongly their moods can impact their weight. You may already be aware that comfort eating is a temptation when you feel down, stressed or depressed. 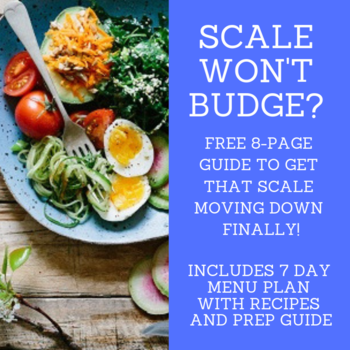 However, there are other reasons you might be tempted to eat more than your body really needs, like feeling out of control, frightened, indecisive, or rejected. 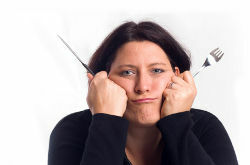 Boredom is another common trigger for overeating – that aimless, restless feeling of “I don’t know what to do with myself; maybe I’m hungry” (even though you know you really aren’t). See: Eating When Upset: Can It Stall Weight Loss? Your day to day mood can definitely interfere with your weight loss, but it works the other way too! A positive, upbeat mood can make you feel motivated and satisfied with your weight loss progress. It can boost empowerment and confidence, calm anxiety, and reduce your appetite. The important thing to keep in mind is that you are in control of your mood most of the time. When you get up each morning, what do you think about? Do you groan and moan about having to exercise and go to work? Do you complain about having to prepare healthy meals and snacks? A negative attitude will only make your mood plummet, and that bad mood will translate into slow weight loss, or none at all. Each day for the next week, try purposely getting into a good mood before you start each day. Read or watch something inspiring, talk positively to yourself, and be enthusiastic about your daily activities. The better you feel emotionally, the easier it will be to stick to your healthy weight loss plan. What about those down days where you just feel annoyed at the world? Then think of something that does make you feel happy. Praise yourself for your progress so far. Focus on something exciting coming up in the future. Be grateful for the opportunity to make positive changes in your life. It doesn’t matter what you focus on, as long as it begins to soothe your mood and shift you into a better place emotionally. It may take a little while to feel the positive effects, but over time you can develop a strong habit of consistently improving your mood and reaping the rewards with a slender, healthy body.